I am always in search of new recipes to add to keep things fresh. If you are tired of ground beef or ground turkey I have found a new (at least to me) meat to use-ground chicken. I made chicken meatballs in a creamy spaghetti sauce with pasta. It is actually a combination of two recipes. 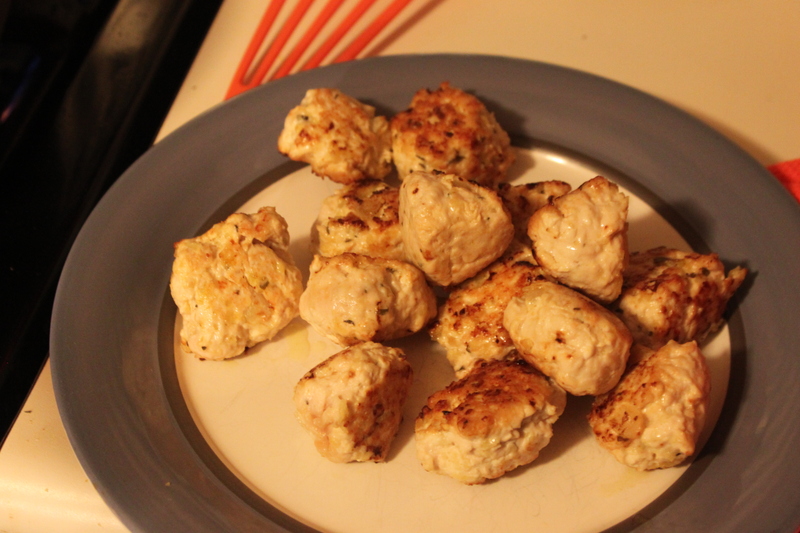 The chicken meatballs are based from a recipe I found at Annie eats. 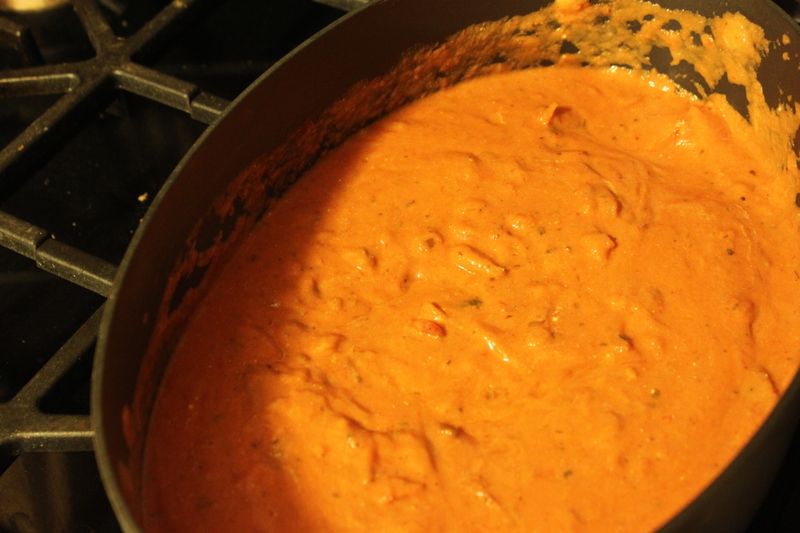 The creamy spaghetti sauce is based on a recipe from Pioneer Woman . Combine the panko, onions, parsley, basil, salt and pepper, garlic and egg. Blend these ingredients. 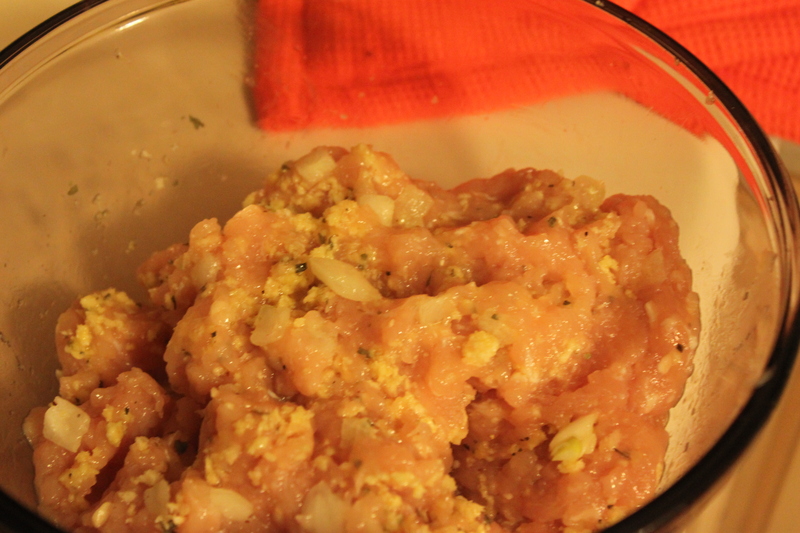 Add ground chicken and blend well with above ingredients. Mix until well combined. Roll into meatballs approximately 1 ½ to 2 inches in diameter . Heat the 2 tbsp. 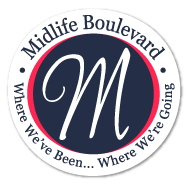 of olive oil in a skillet over medium heat. 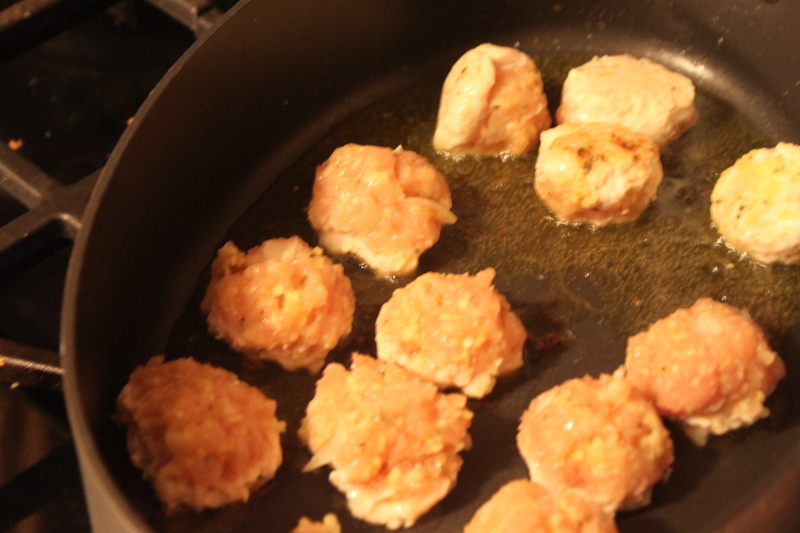 Add meatballs to skillet and let cook. Turn occasionally until all sides are brown. Remove from skillet onto a plate. Pour in the spaghetti sauce and mix well. Add Greek yogurt and blend in sauce. Looks delicious! I haven’t made chicken meatballs (have made plenty of turkey ones). Look forward to trying this! Looks yummy. I will need to switch things up a bit and try ground chicken too. The sauce looks and sounds delicious too. Thanks for sharing. 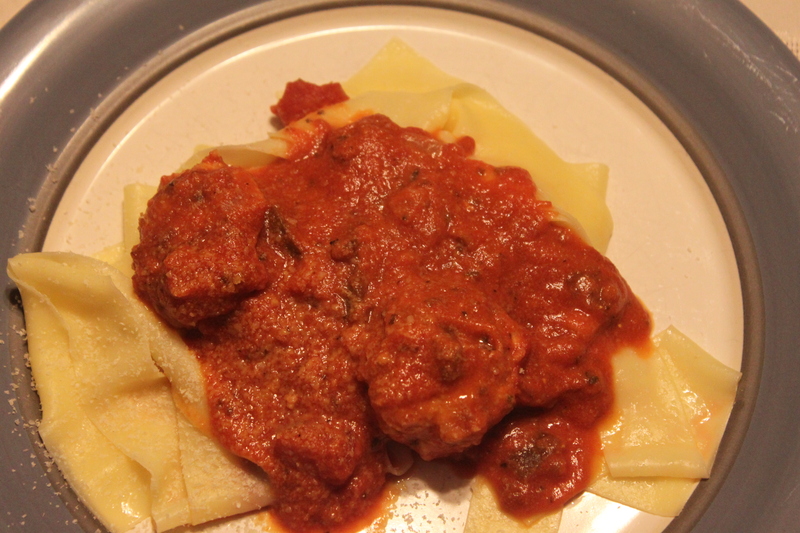 This was the first time I tried using the chicken for meatballs and I think it is a great change. Let me know what you think when you do try them Thanks for your comments.